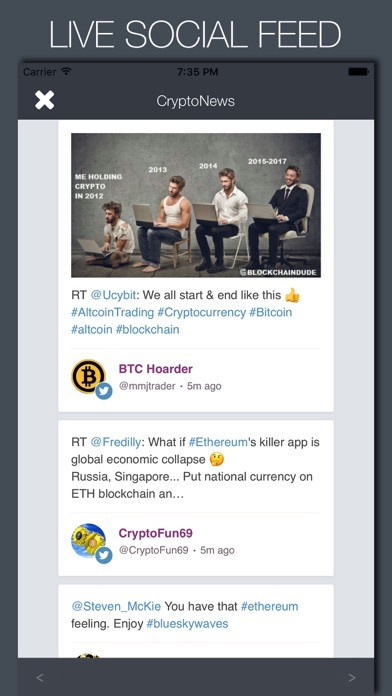 CrptoCurrency News - Your #1 source for the latest and breaking news across the web for all things cryptocurrency. 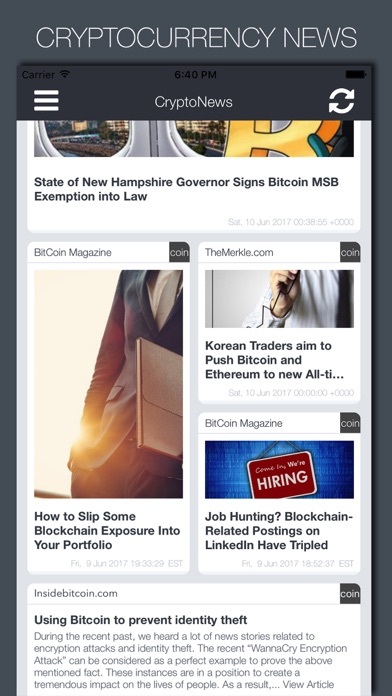 View headlines from over 30 top news sources in the crypto coin community all on 1 timeline. 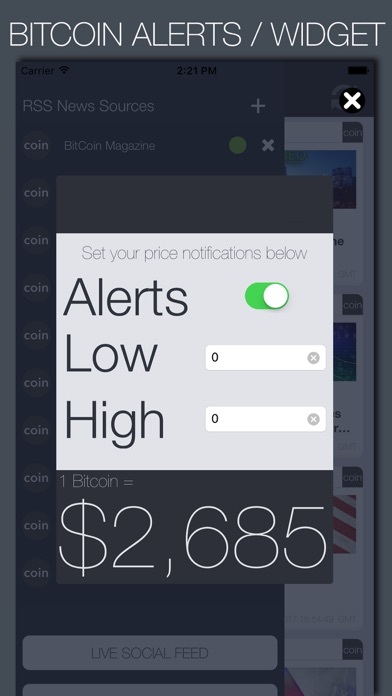 Set bitcoin price alerts and use our bitcoin widget to see the price on the lockscreen. 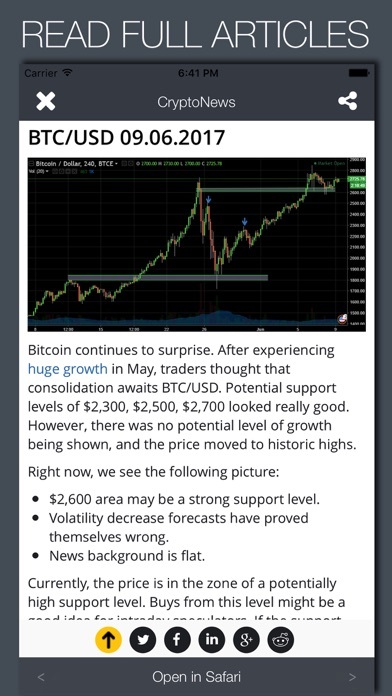 >Price alerts Set to receive a price alert whenever the bitcoin price rises above or below a certain cost. Enable both alerts for a ranged alert >Price widget Enable the Price widget to see the bitcoin price from within the today view or lock screen Within the app, you can also: - Enable / disable news feeds - view live social stream - Easily read full articles - Open articles in Safari - add your own news feeds News sources include The Merkle, Crypto Insider, CNBC, Coindesk, ETH News as well as Reddit communities including Ethereum, Bitcoin, Litecoin, Ripple, Dash and more. If you think it should be added as a default option, let us know in a review. 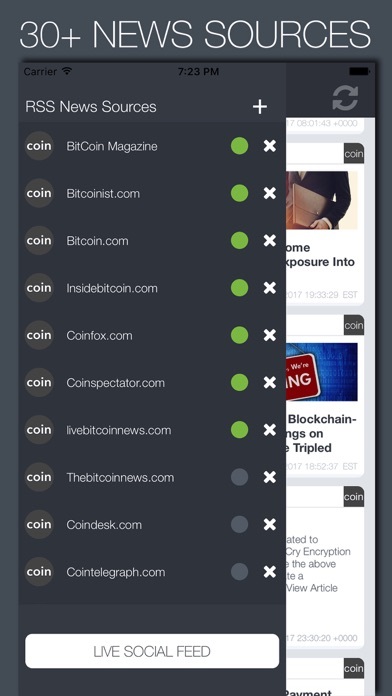 Disclaimer: CryptoCurrency News has no affiliation with any of the sites listed within.